With an extremely high warmth-to-weight ratio (100 gram down distributed on a total weight of 260 gram in size L), the lofoten super lightweight down Jacket is the lightest down jacket in Norrona's entire assortment. It is extremely soft and comfortable and can be worn by itself and both inside or outside a shell jacket when you are in need of extra insulation on the colder days up in the mountain. It has with two hand warming pockets in front and can be compressed into a packable pocket. 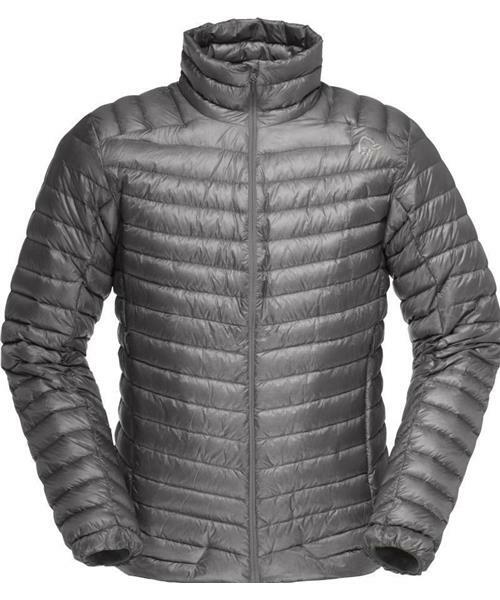 Compared to the lyngen down jacket this is without a hood and with a tighter fit.